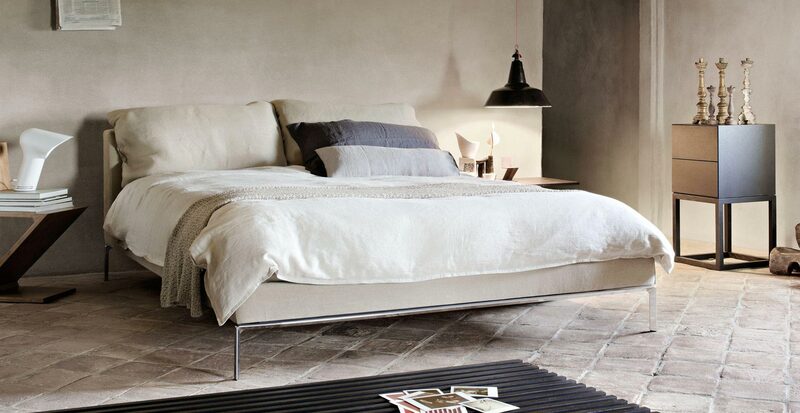 Moov, from the Cassina I Letti collection, is a compact, upholstered bed, featuring understated design and providing soft, welcoming comfort. 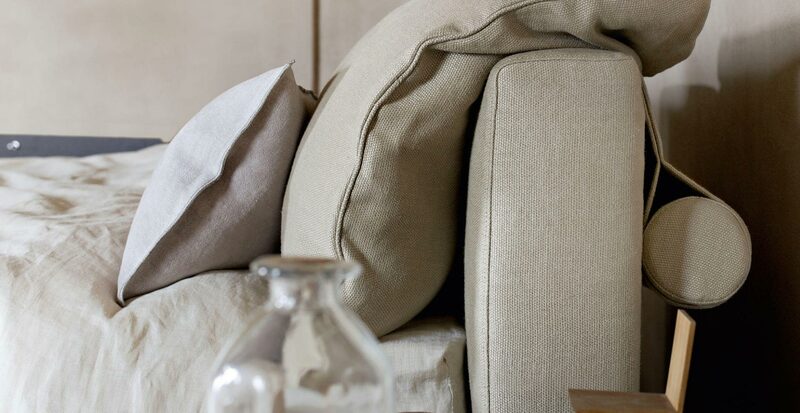 The functional cushion-holder allows cushions to be stored neatly during the day, maintaining a more harmonious headboard. The bed frame and headboard are padded and covered in removable fabric or non-removable leather. The supporting structure can be disassembled and is in multilayer poplar with an expanded foam core. The legs are in die-cast polished aluminum.